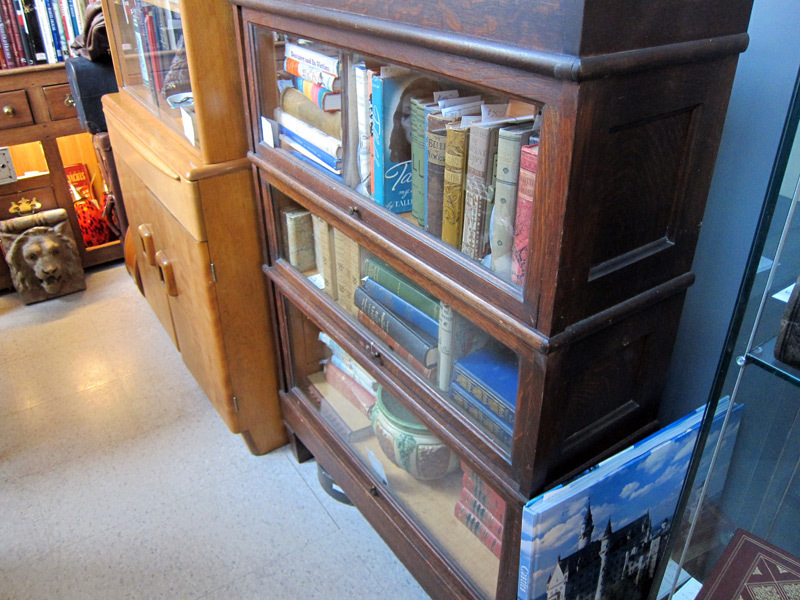 An older barrister bookcase in good condition. 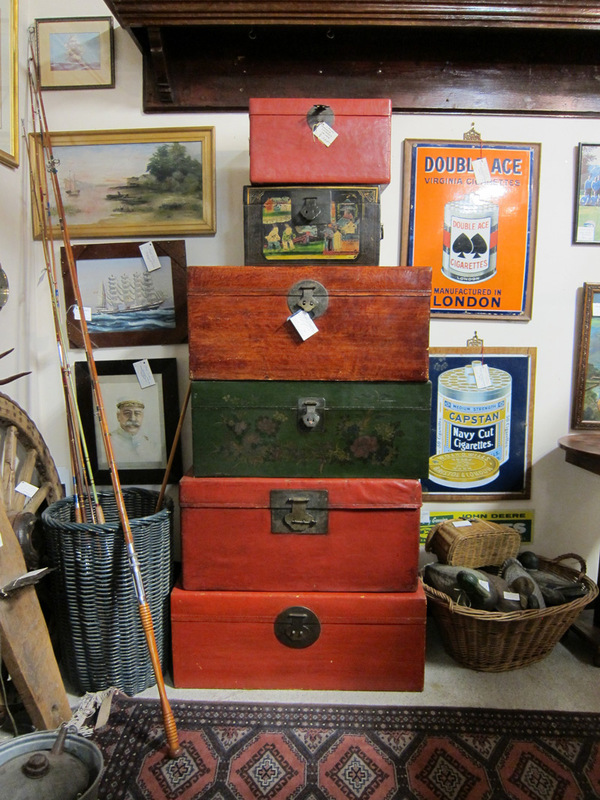 I prefer these to most other types of bookcases. 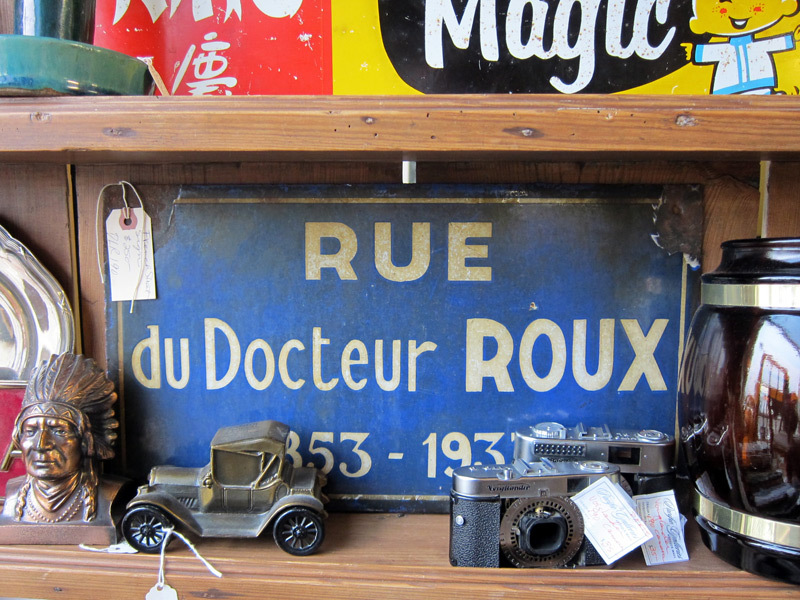 Vintage metal signs sell for unusually high prices. Add 25% if it’s from Europe. 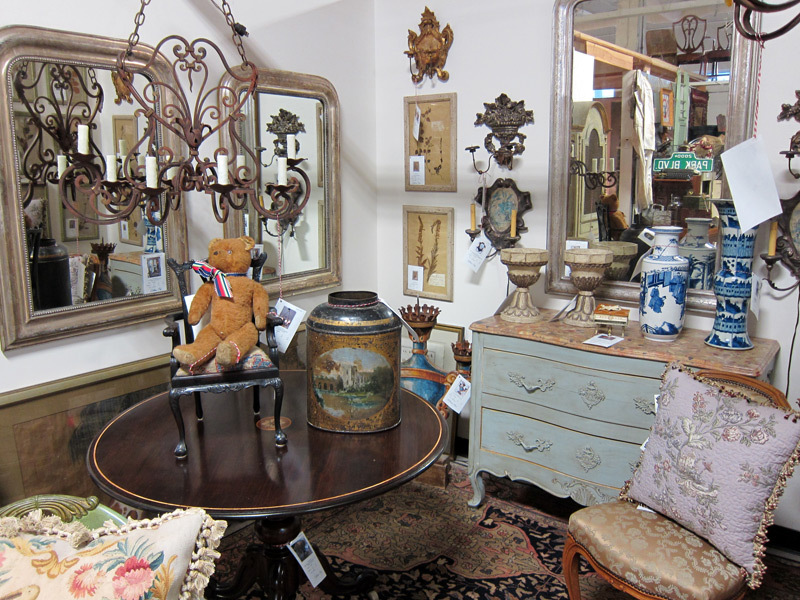 Styles from the late 18th to 19th century are easy to find here. Not quite what I’m looking for though. 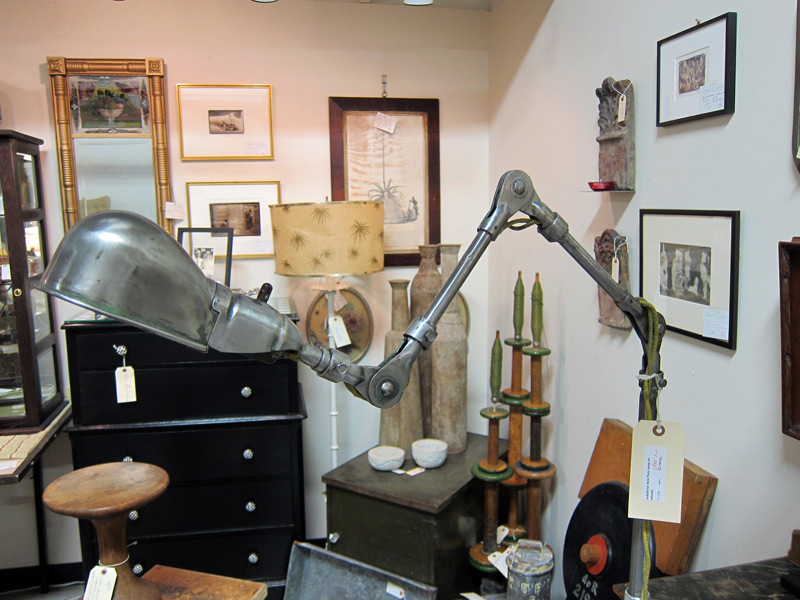 A great looking lamp, though the shade needs to be replaced (and likely the wiring). I might return for this later. 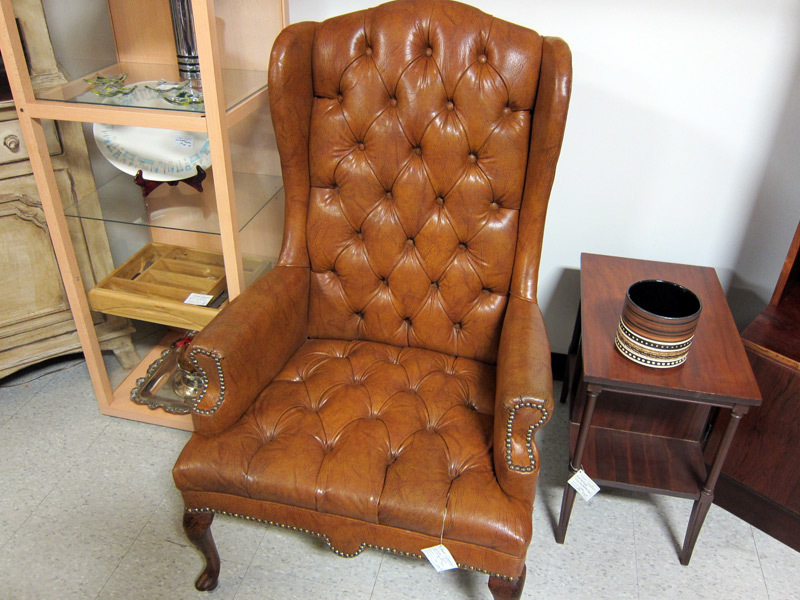 Leather wingback chairs are uncommon, and are often bought up quickly. 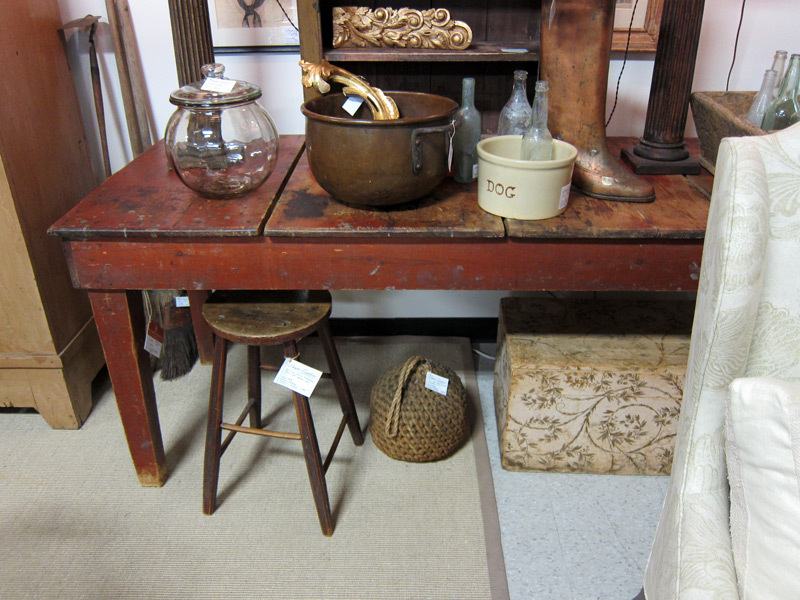 There is an antique farm table in just about every other vendor stall. 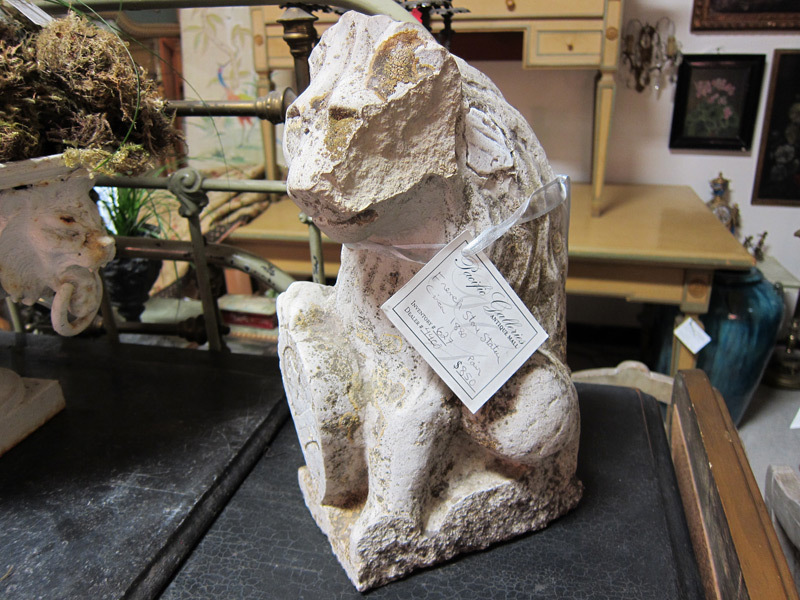 They make for great restoration projects if you have the place to put one. 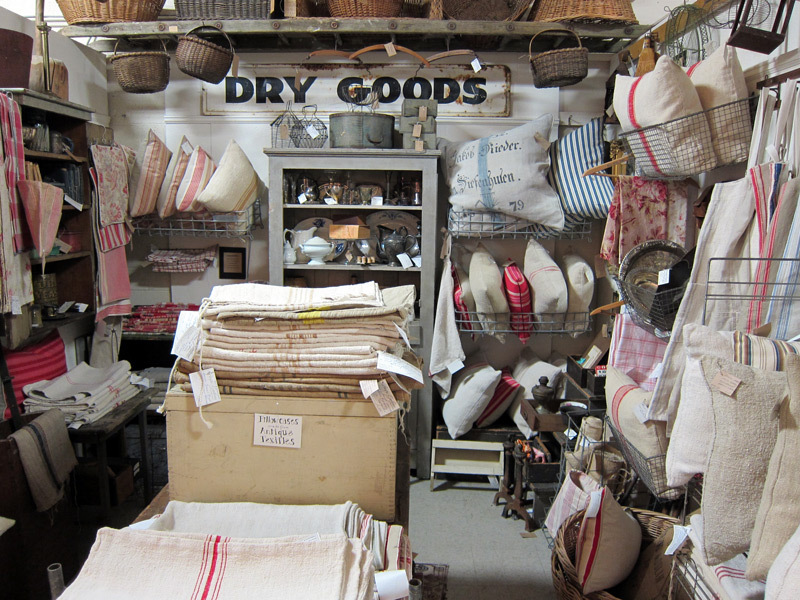 Linens and such. 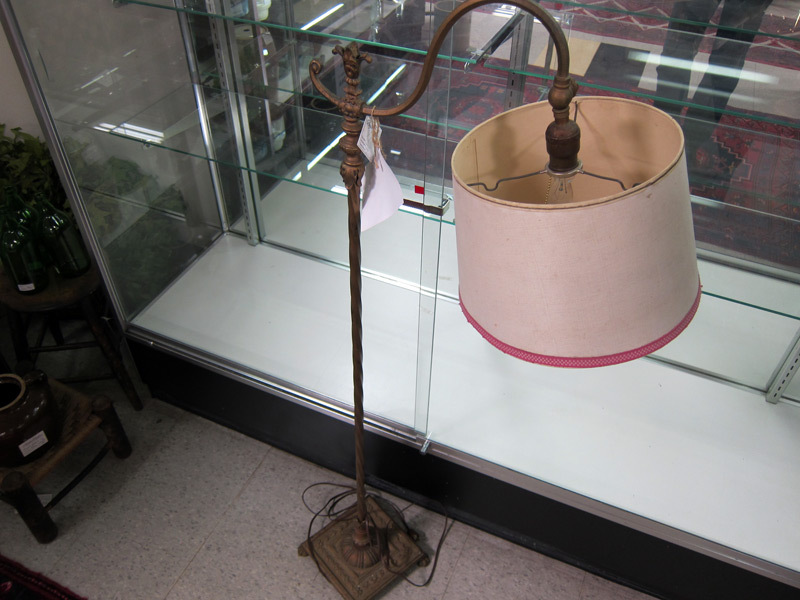 There are a few vendors selling items like this, along with specialty lighting and hardware fixtures. 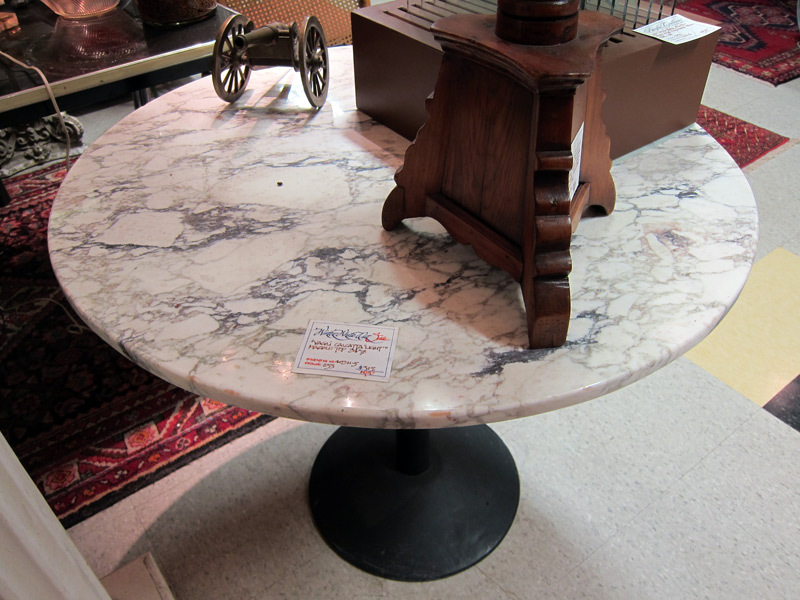 A great midcentury marble top table for an excellent price. 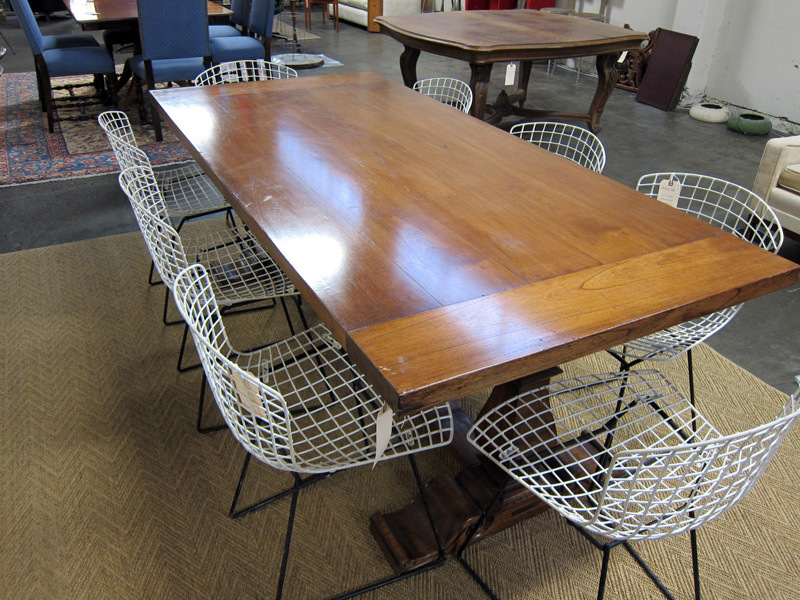 Bertoia wire chairs are also easy to find. I think people tire of them quickly and unload entire sets at once. 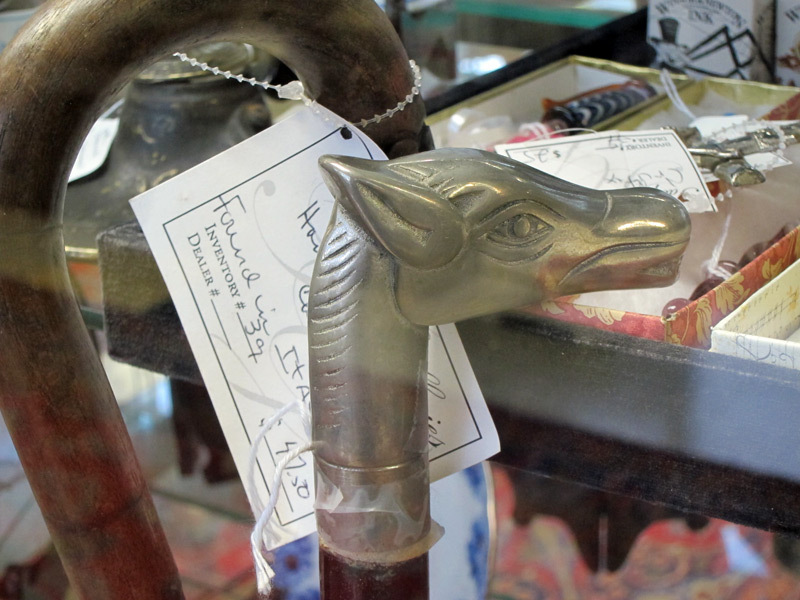 An art deco style cane that caught my eye. 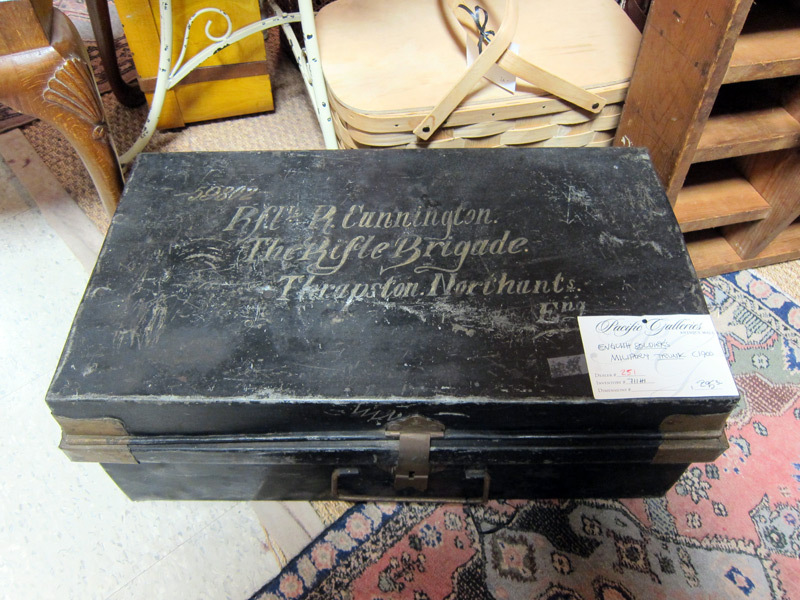 One of the many trinkets available. 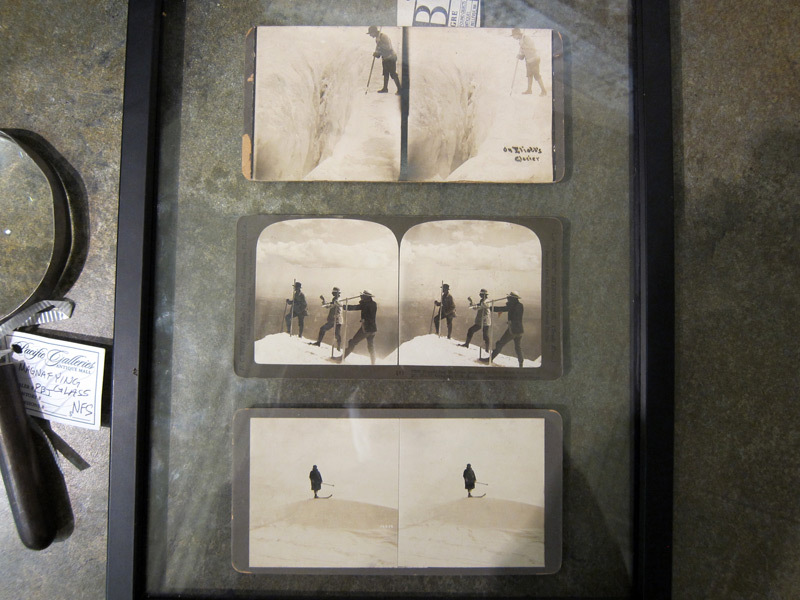 Spotted a small set of stereographs. 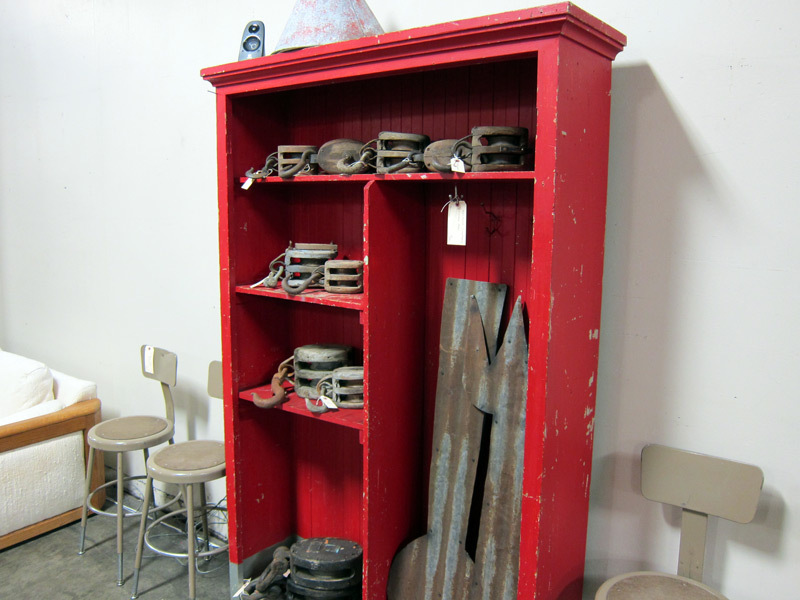 A charming school house style bookcase/locker. 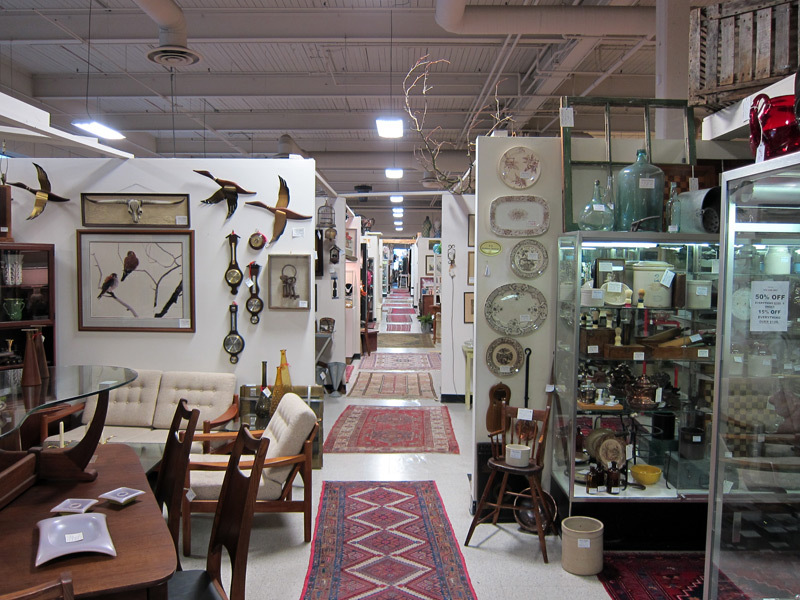 More suitable for a house over an apartment though. 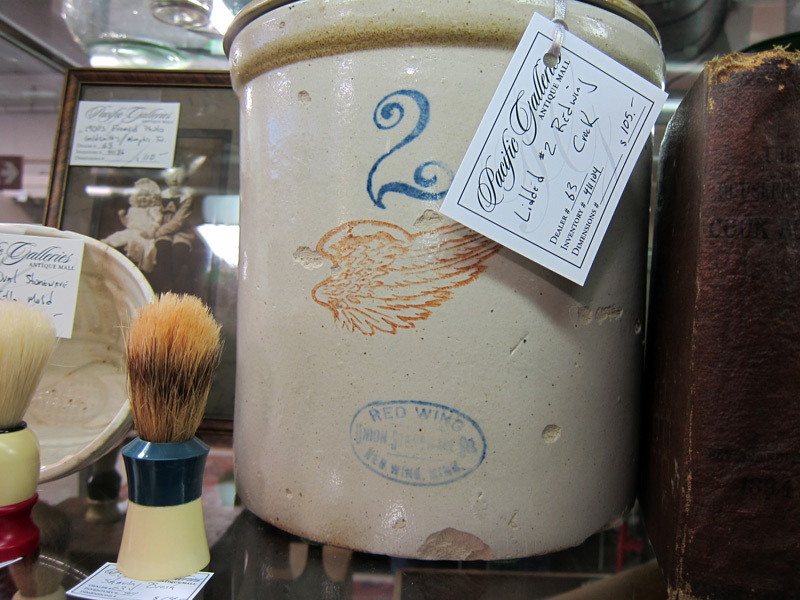 Redwing crockery? There was a very large set of these. 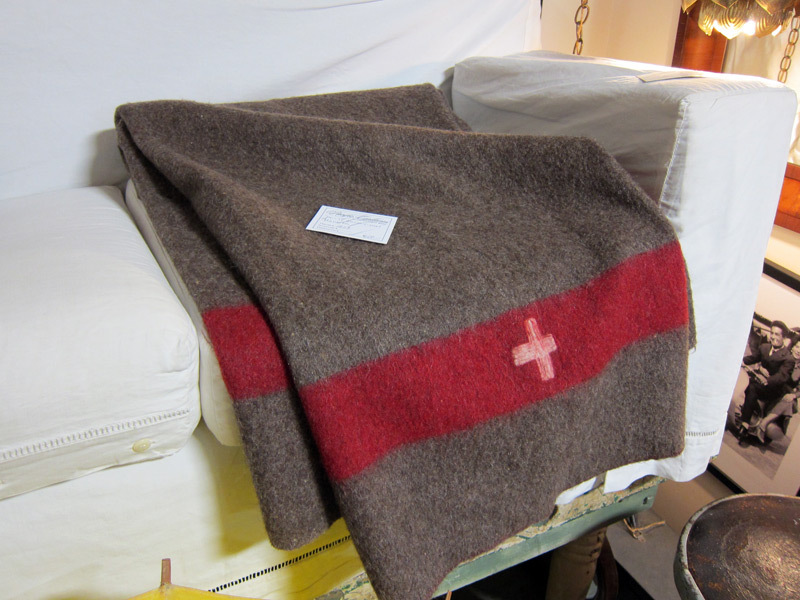 The seller wanted $600 for a pair of these military wool blankets. I laughed. 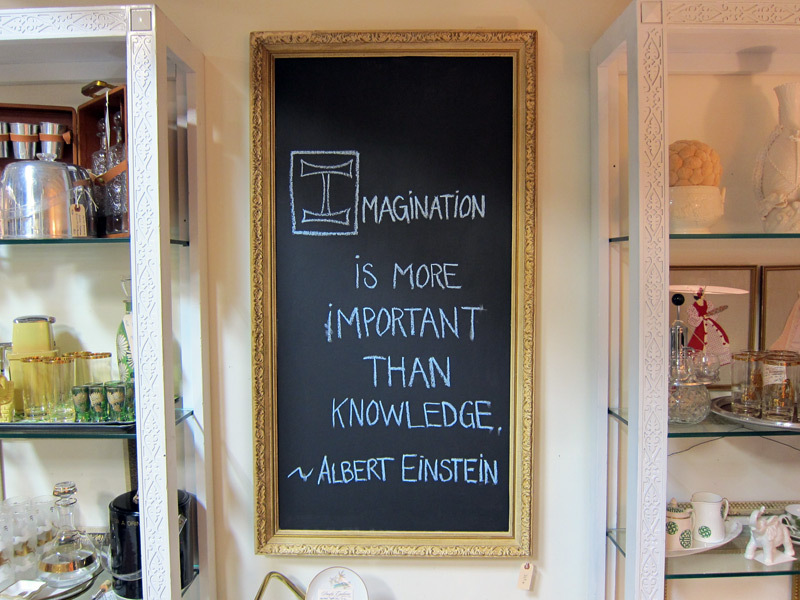 I’m going to steal this framed chalkboard idea. This was once used to haul ice around after it was cut into huge blocks. 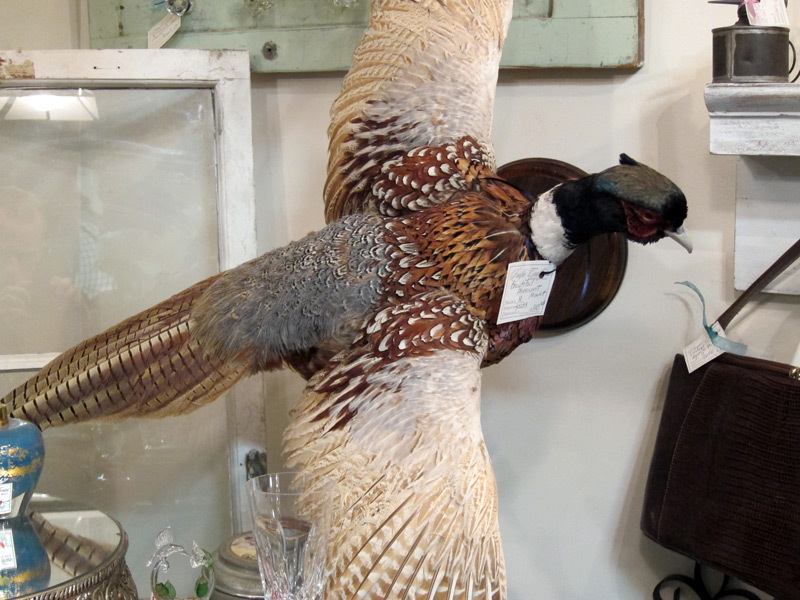 It would make a good centerpiece over a mantle or long table. 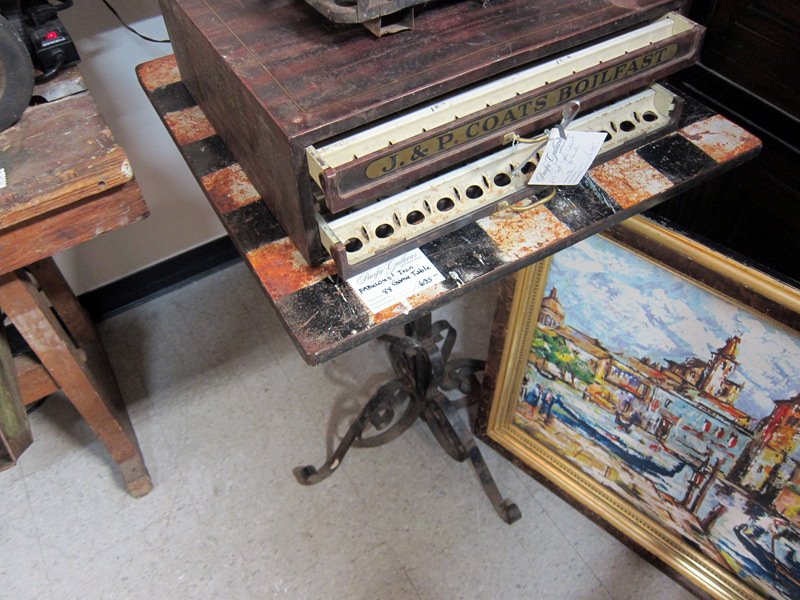 This metal game table hidden under an antique spool cabinet has some potential if restored. 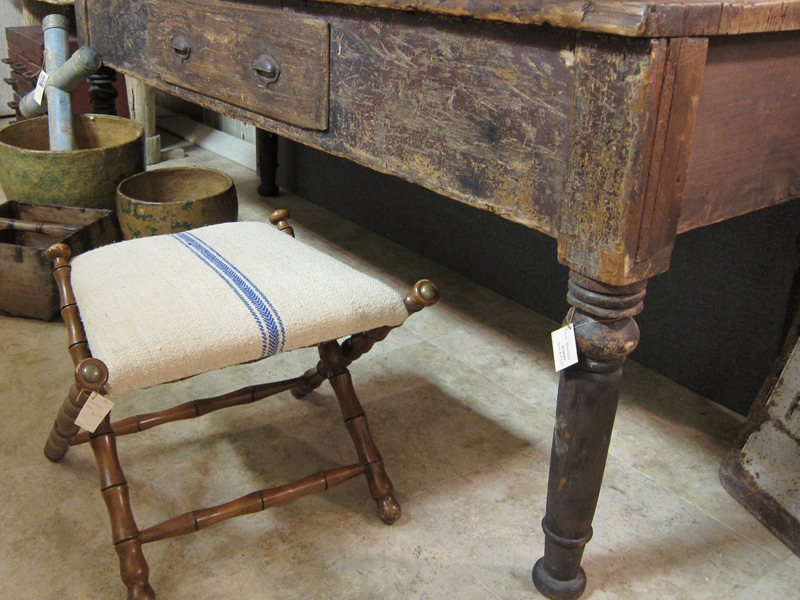 Idea for some reupholster projects. 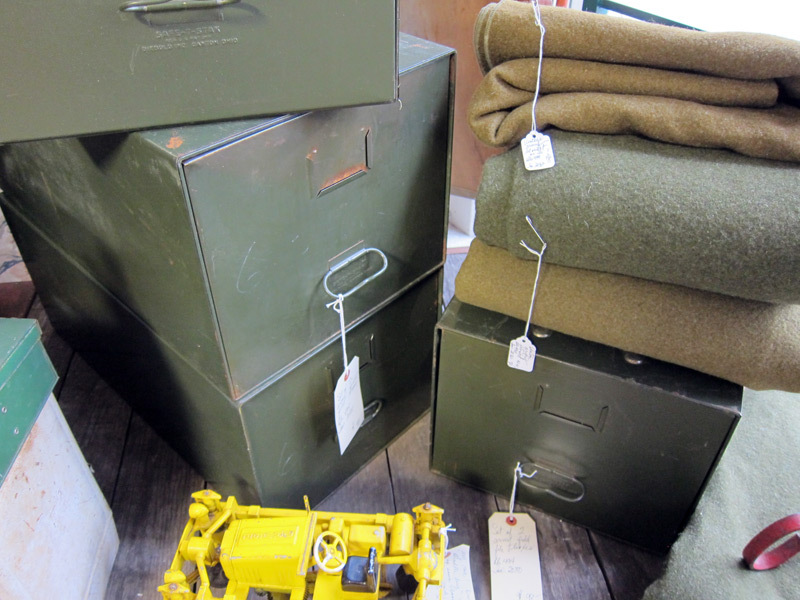 Trunks of all types are common, including this military footlocker. 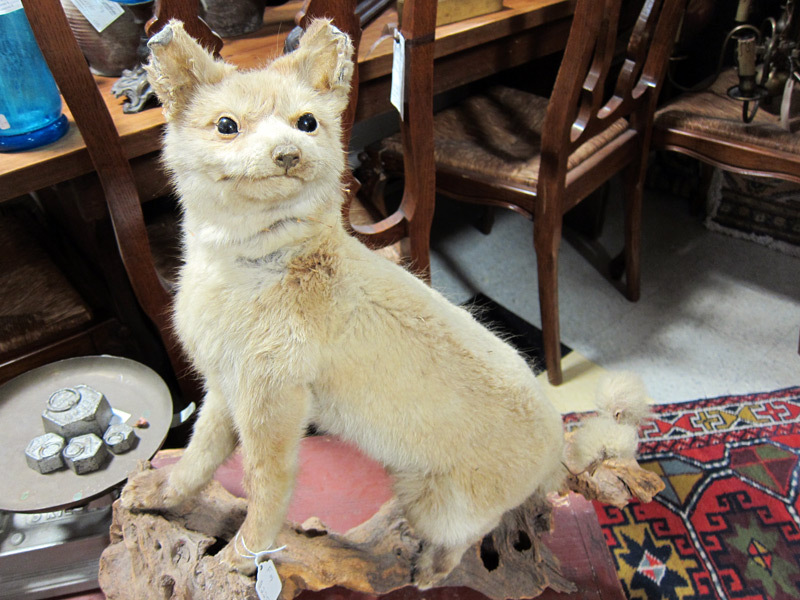 Taxidermy specimens dot the stalls, though quality can range from great to horrible. One such horrible specimen. The poor thing should have been thrown in the incinerator long ago. 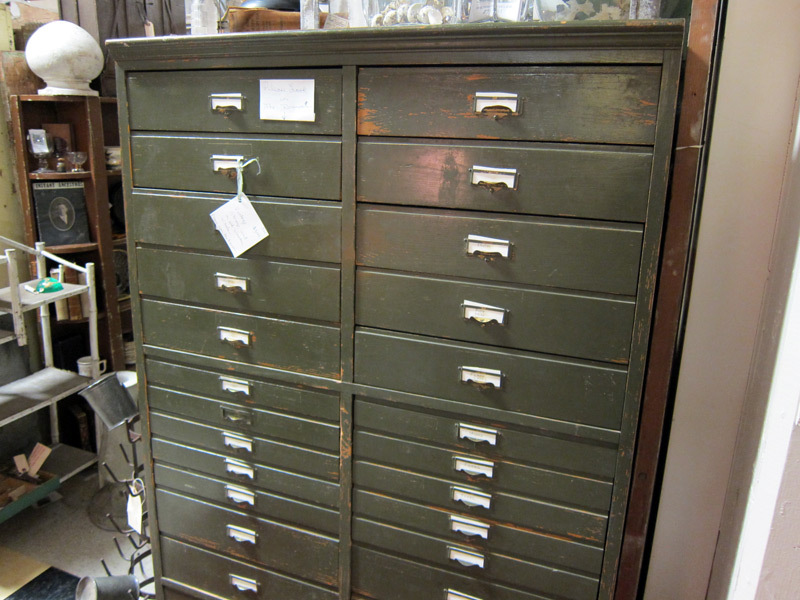 A cabinet system in a style that I’m looking for. 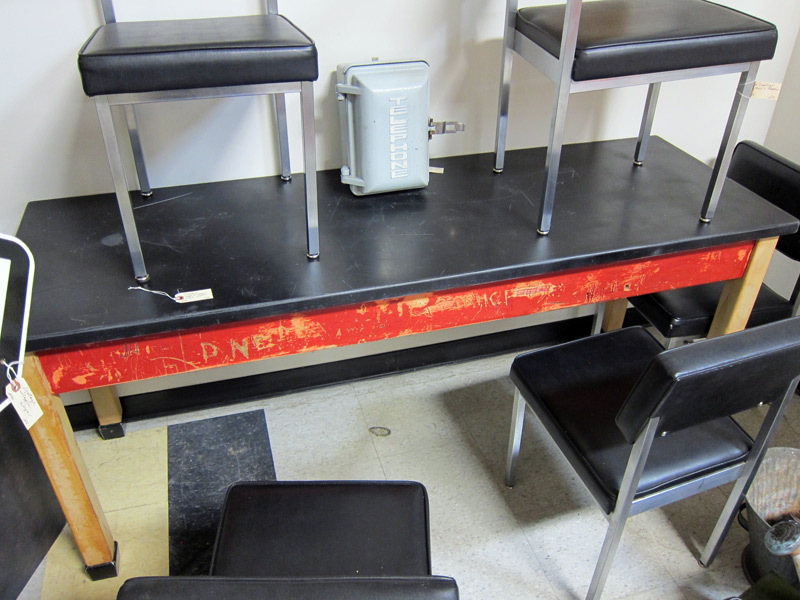 An overpriced school science table, complete with scratched out graffiti from bored students. It brings back memories. 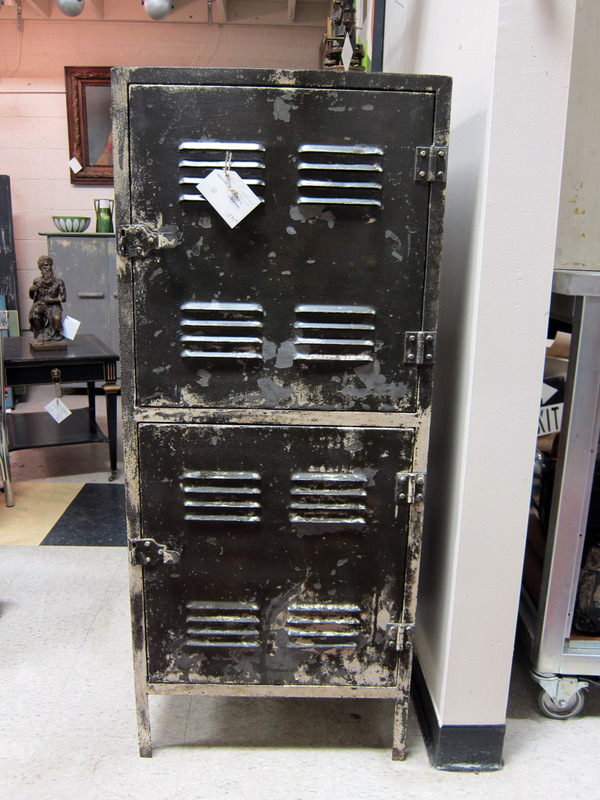 Army field cabinets, reasonably priced. 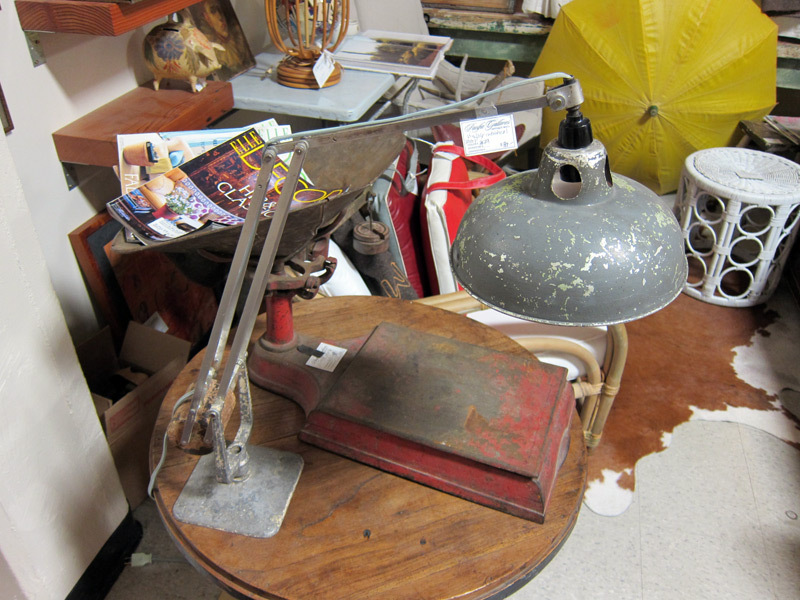 Industrial style pieces command high prices, and are few in between. 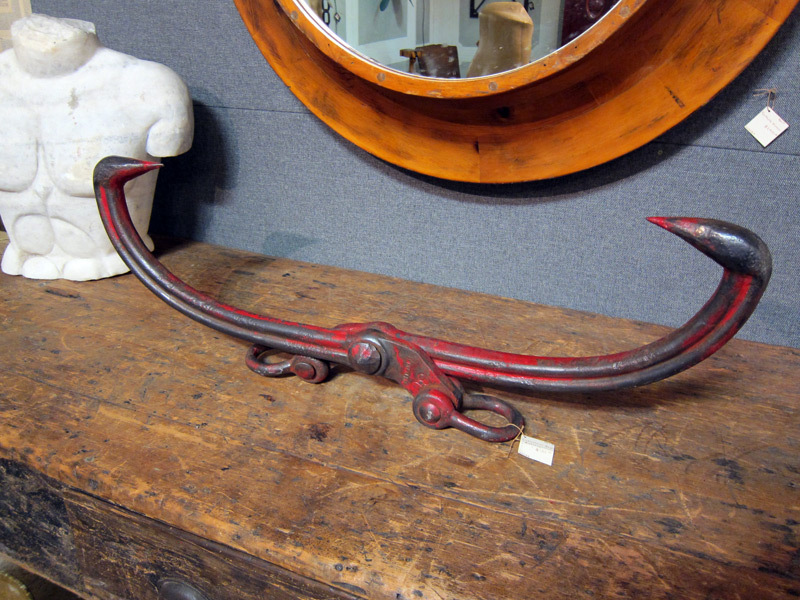 This style is popular with the designers and dealers right now.